VIENNA — People were racing to the mall Saturday morning for the annual Pinewood Derby race. 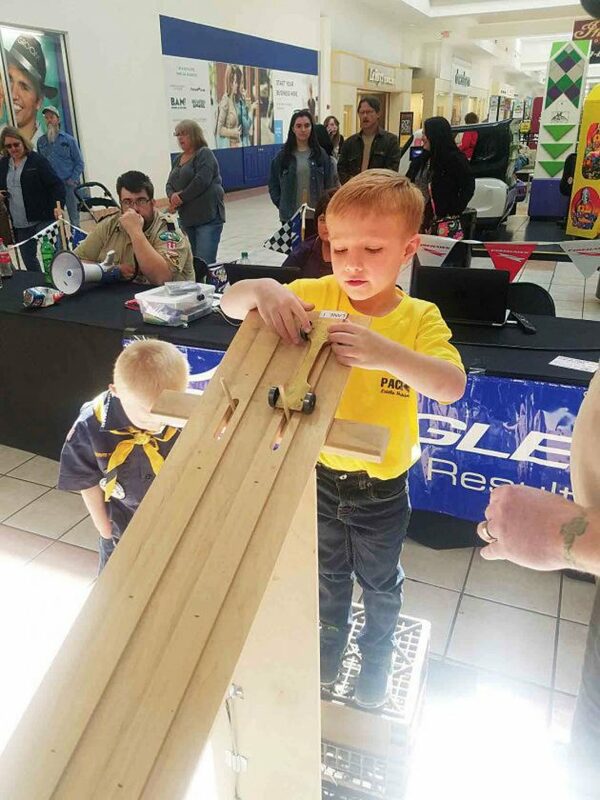 The Pinewood Derby brought together Cub Scouts from Washington, Wood and Jackson counties, now called the Kootaga District, to compete for a chance to advance onto the Buckskin Council Championship race in Charleston on April 13. 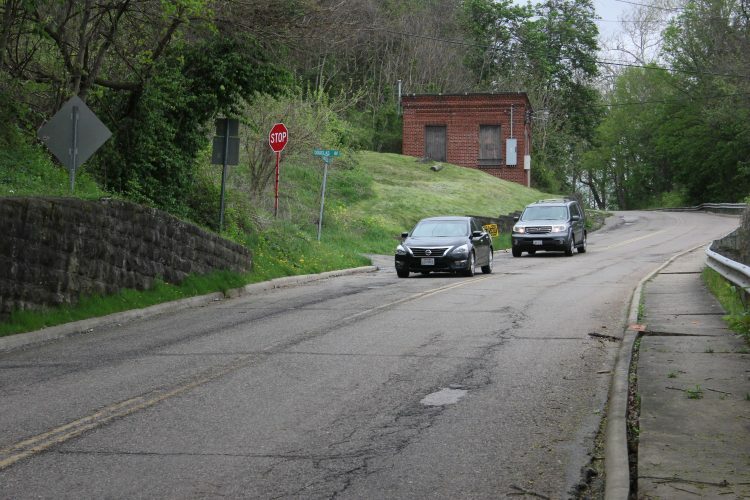 “The Kootaga District is a new district, made when the Blennerhassett and Little Kanawha districts combined,” said John Shepard, district racing chairman. Shepard said the combined districts definitely helped the event grow. “This is an opportunity for kids to race outside their normal groups,” he said. “I have two boys in Pack 215, Williamstown, and this is our first year participating in the derby,” said Brandi Wolfe. “I enjoy that this teaches them the ethics of winning and losing, that these competitions also involve hard work and how to build a derby car. Overall, it is a great family activity,” Wolfe said. The Scouts competed by age, and the two fastest derby cars for each age group (kindergarten through fifth grade) raced each other to find the overall first, second and third places that will advance to the Council Championship race in April. 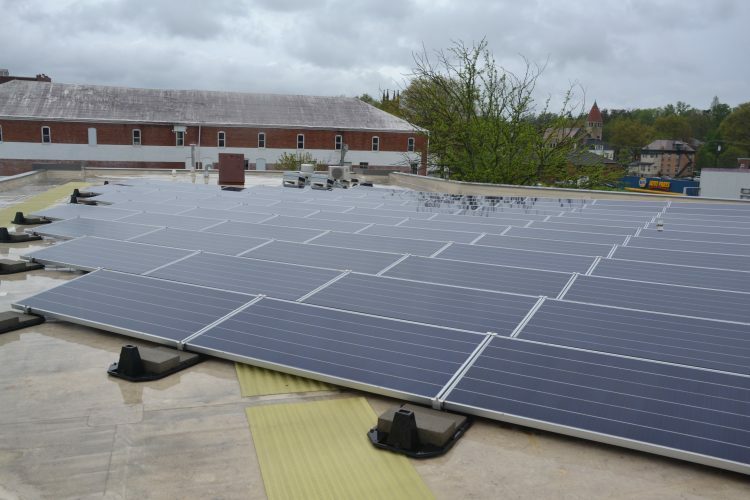 “With council changing areas, we felt compelled to bring the district together into one location, “ said Brandy Baker, the committee member of Vienna Pack 20. “Here, the community is able to be involved and see the impact of cub scouts on area children,” Baker said. This year’s event also featured a Mayor’s race at noon. Vienna Mayor Randy Rapp challenged area officials, including Magistrate Joe Kuhl and his wife Sharon Kuhl, an elected city councilmember for Parkersburg, Chief Mike Pifer with the Vienna Police Department, Officer Adam Jones of the Vienna Police Department, Vienna City Attorney Russell Skogstad and Rapp’s assistant Teresa Smith. “We have always been close with the Scouts, and are glad to have been given such a fun way to get involved with their derby and the gathered community,” Pifer said. The Pinewood Derby wasn’t the only racing-related event at the Grand Central Mall on Saturday. The mall also hosted a race car display throughout the week and an autocross event on Saturday. “I would like the pinewood derby to be apart of the car show again next year,” said Ashley Ness, president of the board of directors for the Ritchie County Fairgrounds, who was raising awareness for the West Virginia Racing Heritage Festival, which donated all 12 of the division trophies with a t-shirt for each first and second place division winners, as well as the trophies for the overall placing Scouts. “We don’t have to charge the kids as much when we are supported like that by other community groups,” Shepard said. Also on Saturday, the autocross, held by the Southern West Virginia Region of the Sports Car Club of America, set up in the parking area at the Sears end of the mall. Jody Hopkins, the mall’s general manager, previously said that the mall hopes to have a new one each third Saturday of the month through November.